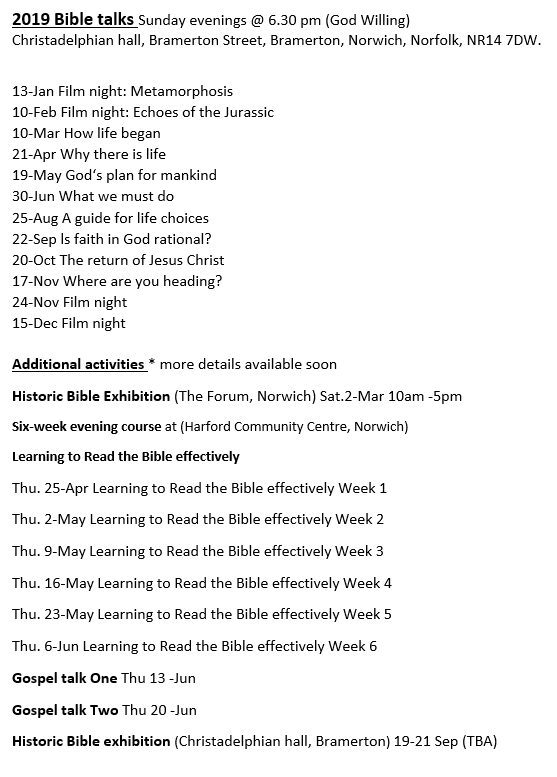 Regular Bible talks held in our hall at Bramerton on Sunday evenings, we start at 6.30pm. God Willing. 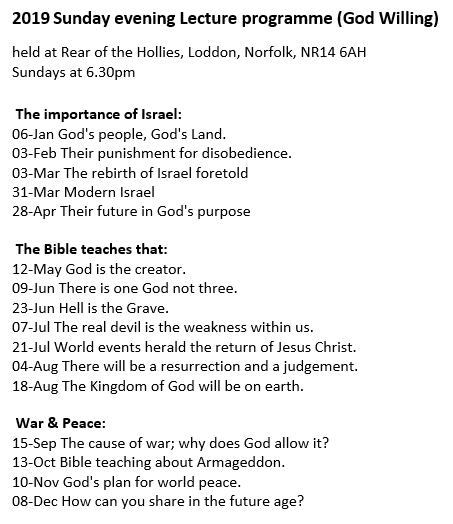 These talks are free to attend, so if you would like to gain a greater understanding of the Bible, please come along. 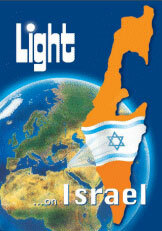 A small Jewish nation in the middle east but often in the news. Why? There are some good Biblical reasons. Why not come and learn more.